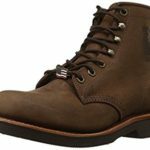 If you’re a fan of hard-wearing work boots, then Thorogood has something new in store for you. 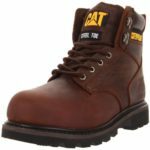 As one of the oldest work boot manufacturers still existing today, Thorogood has established itself as a reliable source of top quality work boots for any and every kind of worker. So there’s no question why the Thorogood Exfil has made ripples in the market way before it’s even been released. I did quite a number of reviews on Thorogood boots before. So, I’m almost certain that the Exfil won’t disappoint – as long as the brand stays true to the quality it has provided its buyers with through the years. 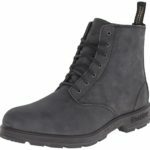 If we’re talking prices, we can assume that the new Exfil’s will fall within the same price range as other Thorogood boots. That is, an average of about $180 USD. Of course, that estimate isn’t set in stone and could change depending on the features they incorporate into the new Exfil boot. Are you excited for this boot’s release? 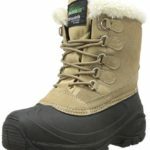 Make sure to check back here regularly to find out the latest updates on the Thorogood Exfil, its possible release date, and new boot specs and other announcements that the company might drop in the future. In the meantime, you can read some of my existing reviews for other Thorogood boots. 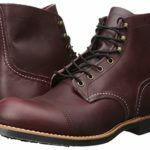 Red Wing Work Boots Review – The Best Companion for Demanding Jobs?